VALLEY, Virgin Gorda, VI - Leader of the Opposition and Chairman of the Virgin Islands Party (VIP), Hon Andrew A. Fahie (R1), says the public has lost confidence in elected officials, and it is time “to flip the pyramid, putting the people at the top”. 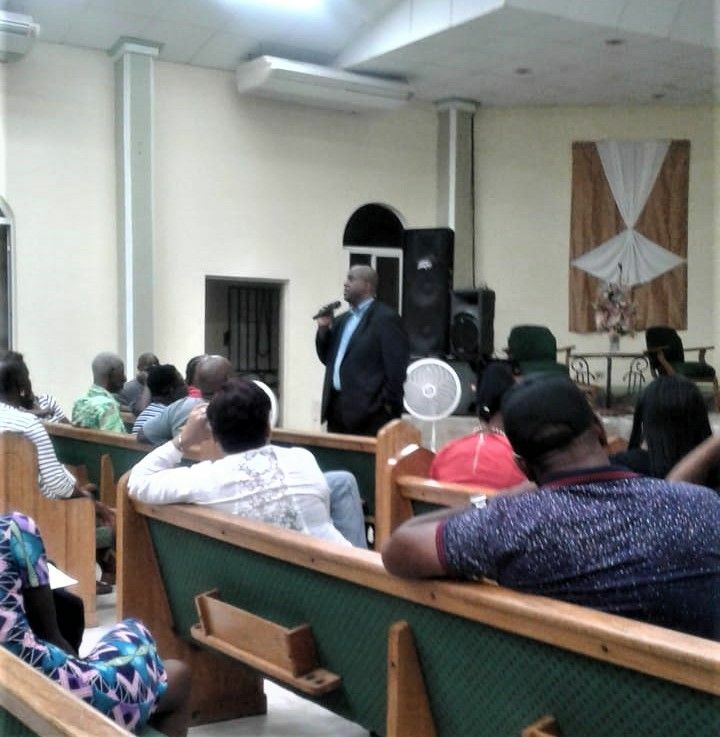 Hon Fahie was at the time speaking at his first public meeting for the year in Valley, Virgin Gorda last evening, Thursday, May 31, 2018, at the Sanctuary of Hope Church. Held under the theme, ‘Our Past, Our Present and Our Future,’ the activity saw hundreds coming out in support of the Opposition Leader, including the District Representative Dr the Honourable, Hubert R. O’Neal (R9). He qualified his position by illustrating the fact, the Premier and his Ministers along with the House of Assembly Members and Technocrats are at the top of the ‘power pyramid’, and the people are at the bottom. 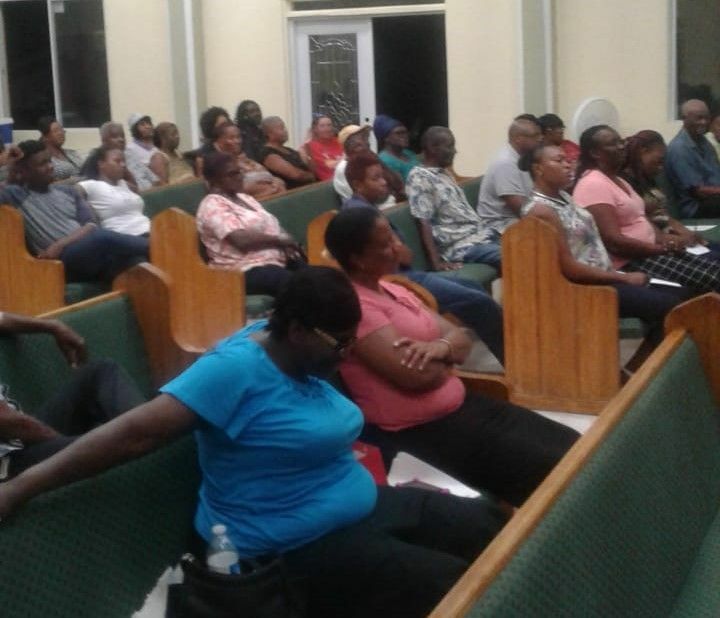 Hon Fahie told residents at the meeting. However, people are the bosses and “the time has come to make the politicians account to the people, and not the other way around”. He was adamant, the public has lost confidence in elected officials, since “politicians have lost their way thinking they are the people bosses.” As such, “it’s time to flip the pyramid, putting the people at the top,” according to the Opposition Leader. He used the occasion to also publicly chide Ministers for being, “too busy for the public” and lamented, even he, as an elected member has a hard time reaching some Ministers of Government. Meanwhile, Hon Fahie also used the public meeting to present to Virgin Gorda residents portions of his legislative agenda, should he become the next Premier. On the matter of curbing alleged government corruption, he proposes ‘Whistle Blower Legislation’ to protect and empower civil servants, “to speak out against it, while being protected from victimisation”. The Opposition Leader also invited Dr O’Neal to speak at the event after which he engaged those gathered in an interactive question and answer session. Great start Honourable Fahie! Now lets get to the meat of the matter. Who are the VIP candidates? The country is waiting for this announcement. Time for positive change in the BVI. Honourable Fahie, now is the time to galvanize men and women who are deemed winnable if you are truly going to take the country back. A song, prayer, or good will gestures are not goung to cut it. For if the next election cycle is upon us, and your team is deemed losable, the current politics will remain the same. “Flip the Pyramid.” Honourable Mr. Andrew Fahie, my family and I were some of the toughest critics of you in the early stages of the political fight between yourself and the Honourable Mr. Fraser. However, you have proven yourself to be the Leading LION of the pack. You are certainly demonstrating a more matured and balanced approach in your political calling, especially at a time when the confidence of the people with our present “political imperialists” in office right now, are at subzero. Keep up the Good Work. We look forward to the announcement of your party’s list of candidates for the next upcoming election. Contributing to the state of our country at this time, politically, you presented critical fundamental errors in which the current gov’t made, including the fact that “politicians have lost their way in thinking they are the people bosses.” Hence, the consequential reason the people are launching a 2nd march. The sitting gov’t appeared to be too busy to listen to people who they serve, and today, their pitchforks are out. Lessons to be learned. Around 2+ years ago, Dickson Igwe wrote an article predicting an episode like this could occur if the sitting gov’t did not listen to the common cries of the people they were serving. Along the same line, a highly critical thinking blogger, Political Observer (PO), concurred that the possibility existed of this type of event taking place if the economy was ever negatively affected in our country. The sitting gov’t didnot listen, possibly, because they do not listen to bloggers; or possibly because, they are locally based and their assessments were obviously not coming from their highly paid overseas consultants. Now, look at the state of our country today. The pitchforks are out and quite rightfully so. Our country is indeed, already in turmoil; our people are worried about the state of affairs and the present and future direction of our country. They need reassurance and it appears that the sitting gov’t has been unable to deliver any confidence (due to their lack of transparency and accountability) that they are the ones to turn it around. So far, what has been witnessed from this sitting gov’t is politically deceptive double speak (language designed to manipulate the people). Obviously, the sitting gov’t has not been planning for all these possible scenarios happening in our country, although they have been timely warned. Were they too busy serving themselves and their circle of special interests? Have they been caught unprepared and scrambling now for solutions? Are these events teachable episodes for all of us to learn from, forging ahead? Are these episodes of disruption occurring for us to reset how we conduct our politics in our country? These need to be answered as a people. We want revision of laws to stop criminalizing our young people for petty crimes. We want immigration reform, People living here for over 20 yrs with no permanent status. We want elections reform to stop corruption and graft. We want justice for all. Unless there is a stronger LION in the arena to challenge him. Just saying...he doing good for now, until all the unannounce lions come out to fight for the top spot. We shall see what we shall see; this upcoming election will be hot, hot, hot!!! Can’t wait for the action to start, hopefully soon, the way things going. To the people of my beloved Virgin Islands et al...... There is a dire need in this country.... a need where corrupt persons and especially corrupt politicians or suspected corrupt politicians, need to develop a culture where the corrupt person/politician fears the incorruptible person/politician and not the other way around. There is no excuse for being irresponsible.